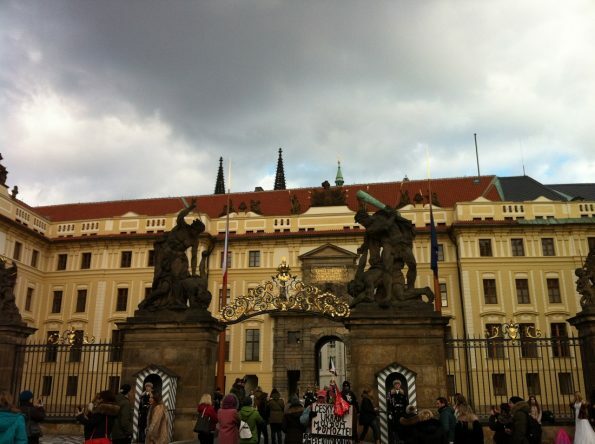 I was travelling to Prague in February and I wanted to share my experience of this wonderful fairy tale city. 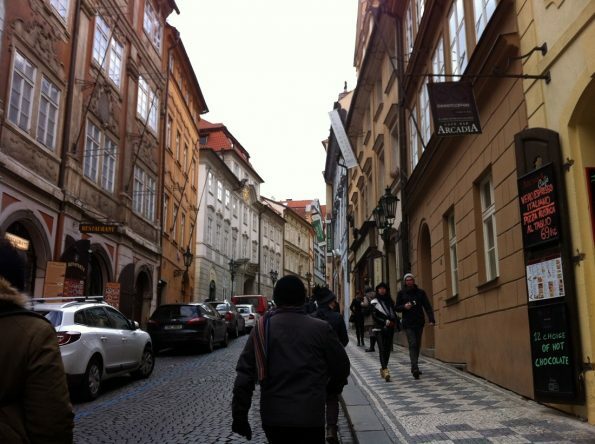 We were staying at the Old Town area. 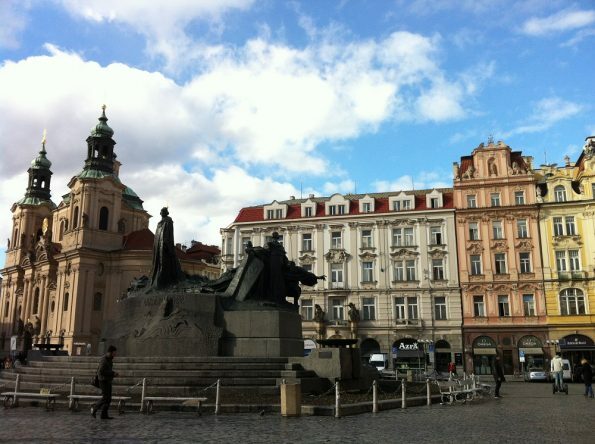 It is very recommended to stay in the old town area as most of the attraction are in the Old Town. We were staying at Hotel Metamorphis. It is literally just behind the Church of Our Lady before Týn, so from our window we can see beautiful tower of the church. Just a stone throw away from our hotel, is the incredible Church of Our Lady before Týn. 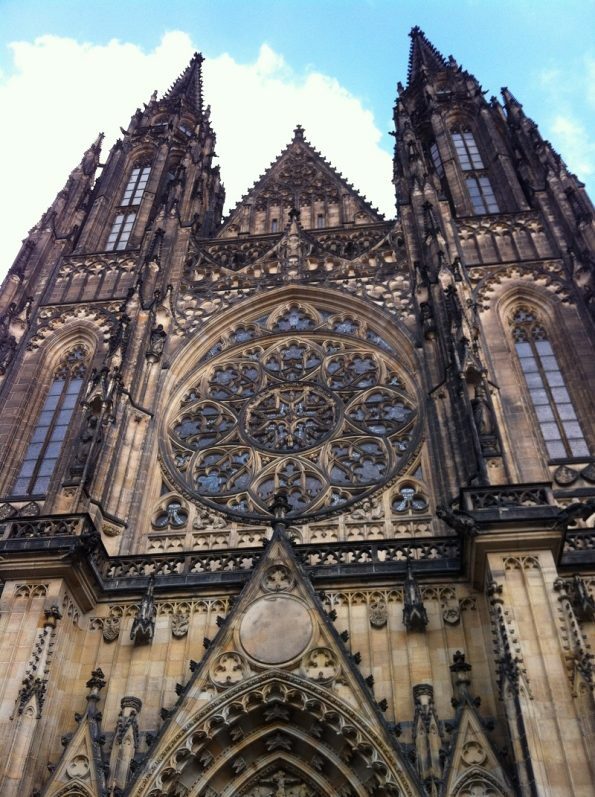 The towers are just so magnificent that make you believe that you are in a fairy tale land. 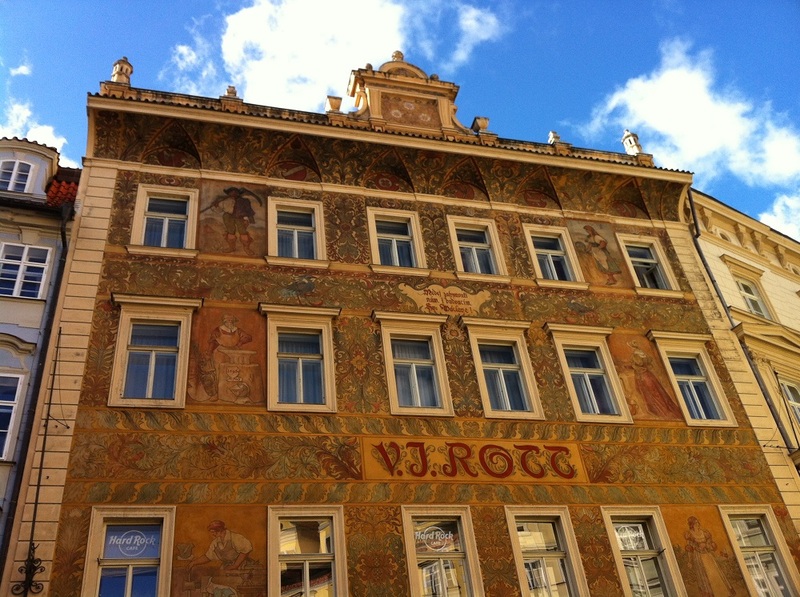 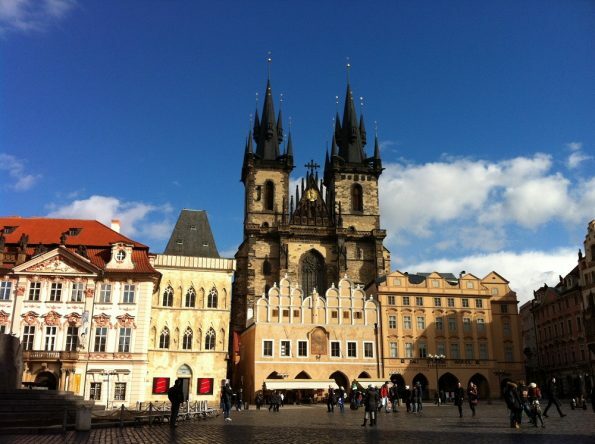 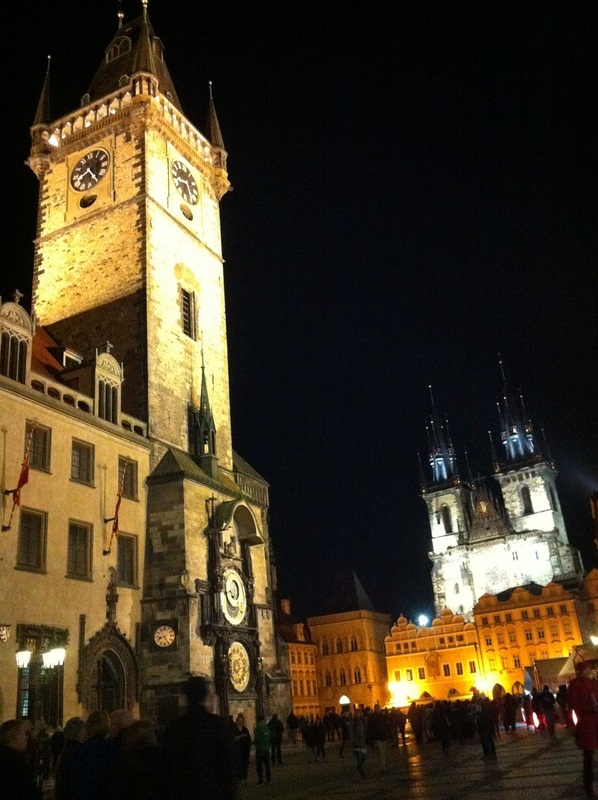 In the Old Town square, you will see the historic astronomical clock. 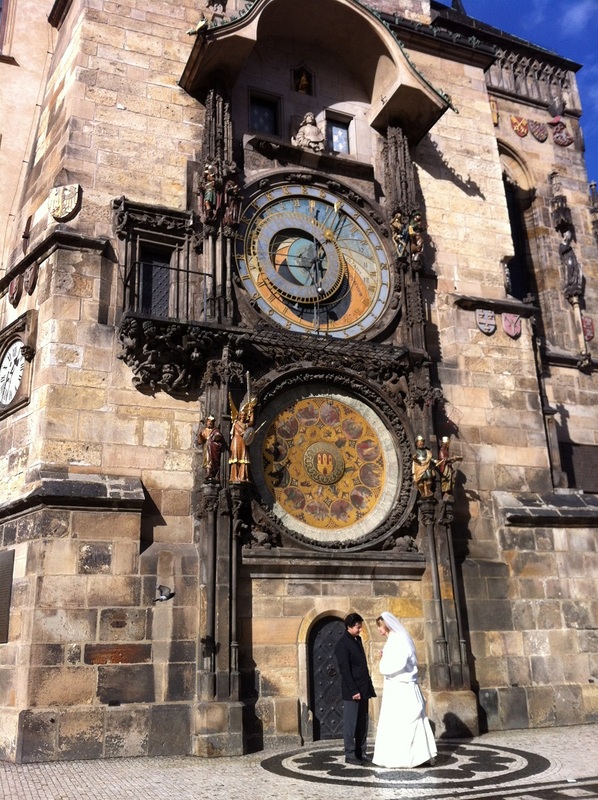 The clock is just so mesmerising – it was like reading a fantasy children book: waiting for your Prince to save you from the tower full of dragons. And well, no wonder anyone wants to get married by the clock – as did the couple below. 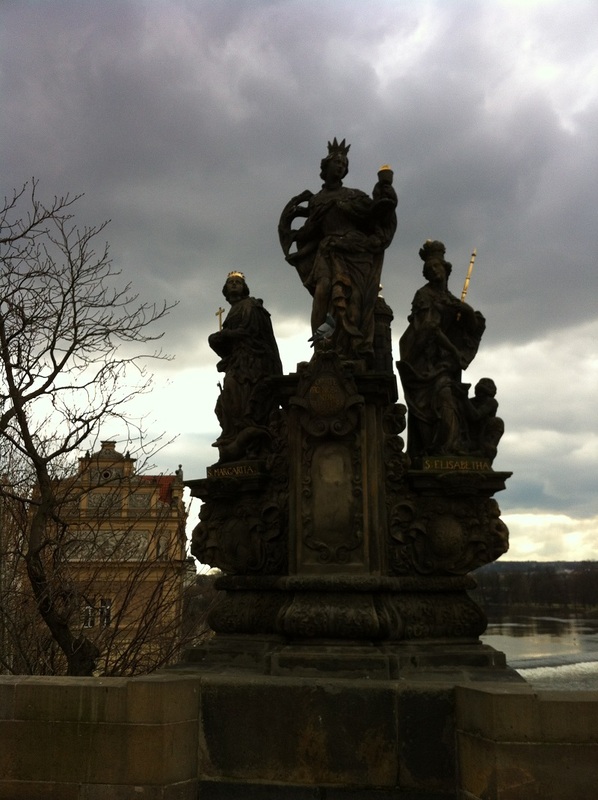 The beauty of the city continues when you walk along Charles Bridge. 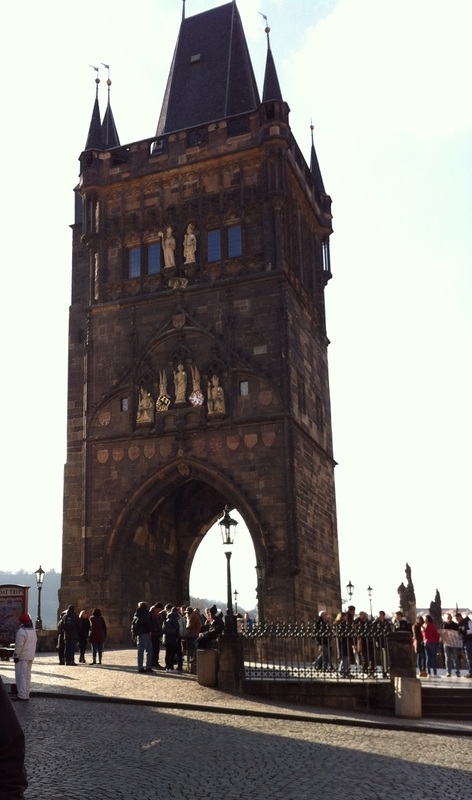 The gate of the bridge is just astonishing! 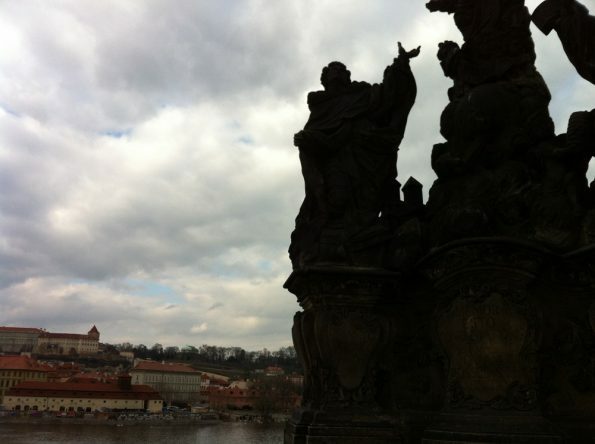 Along the bridge you will see religious statues of Saints. The city is very blessed to have these historic statues. 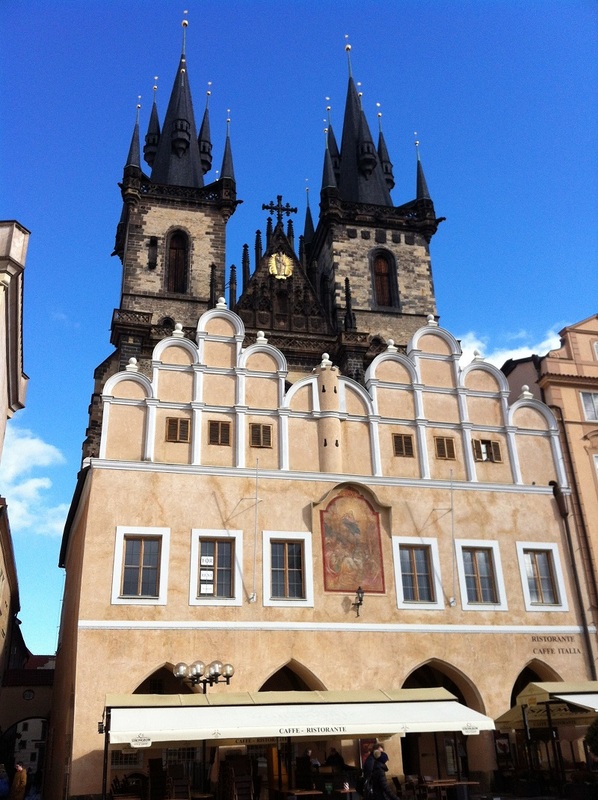 I also see this beautiful Church near the Charles Bridge gate. 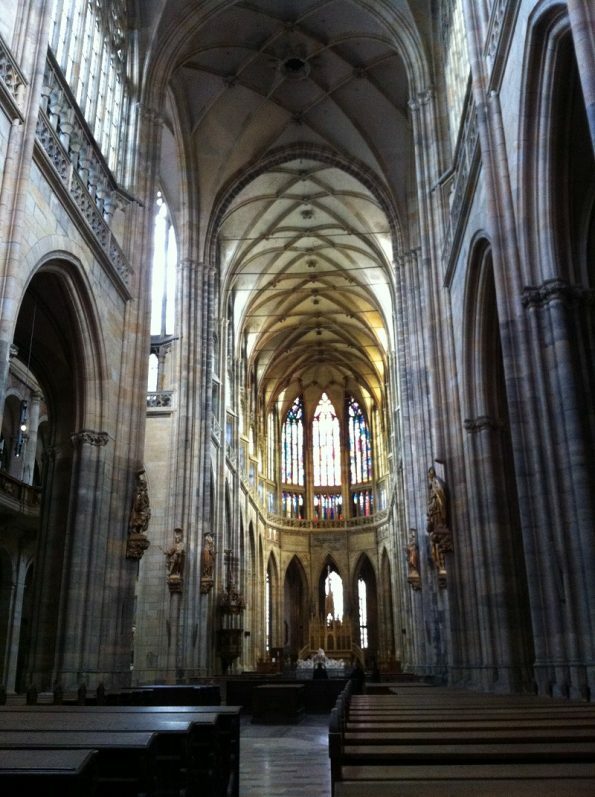 The architecture is just wow. 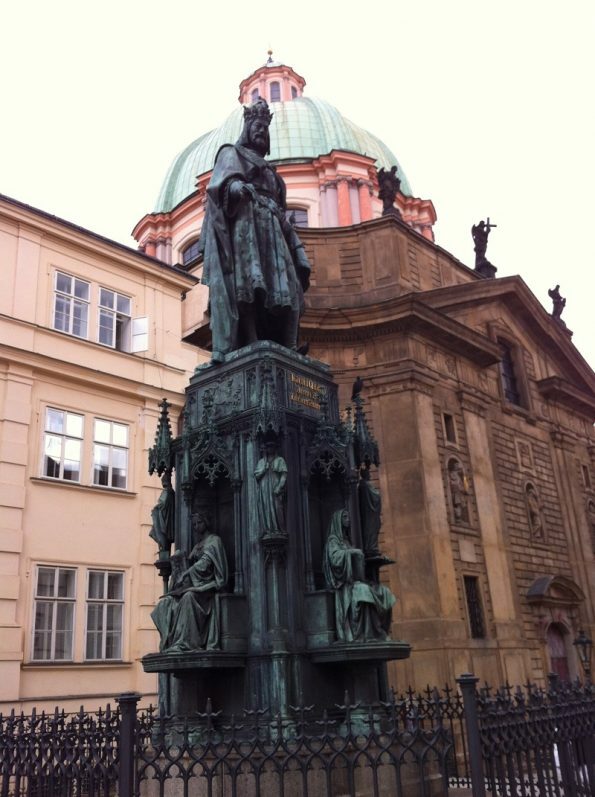 The statue below is King Charles IV. 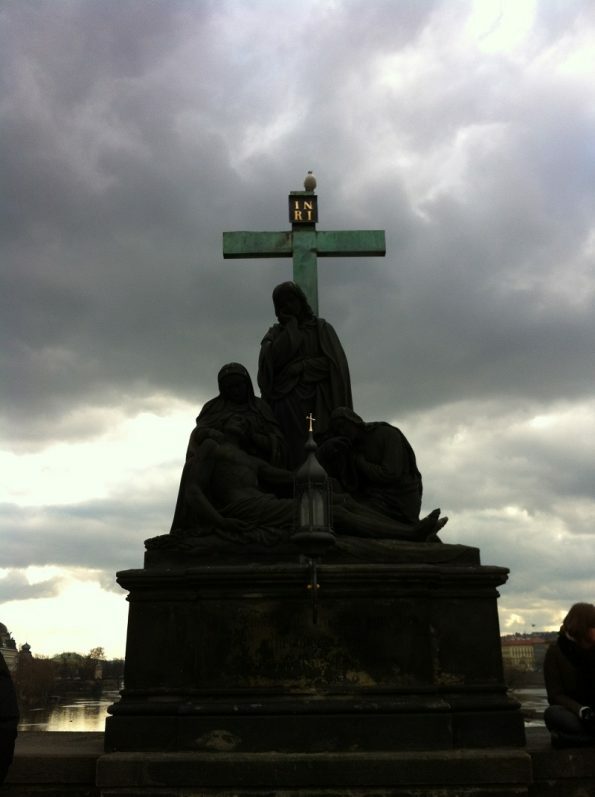 The bridge is named after him, I think. 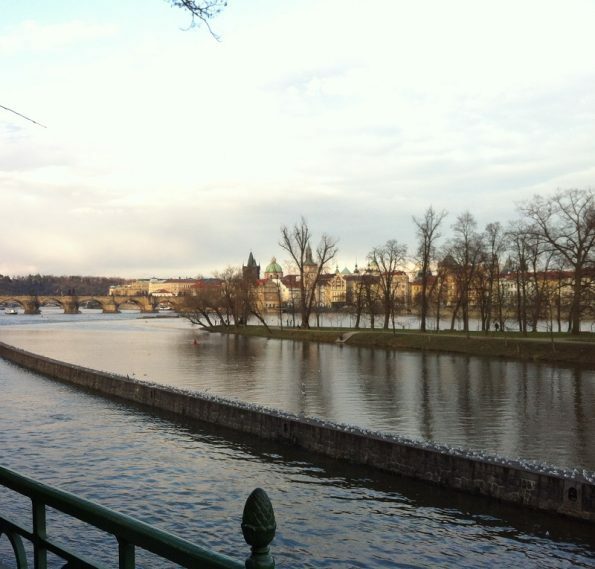 The beauty of Prague continues when you walk alongside River Vltava. 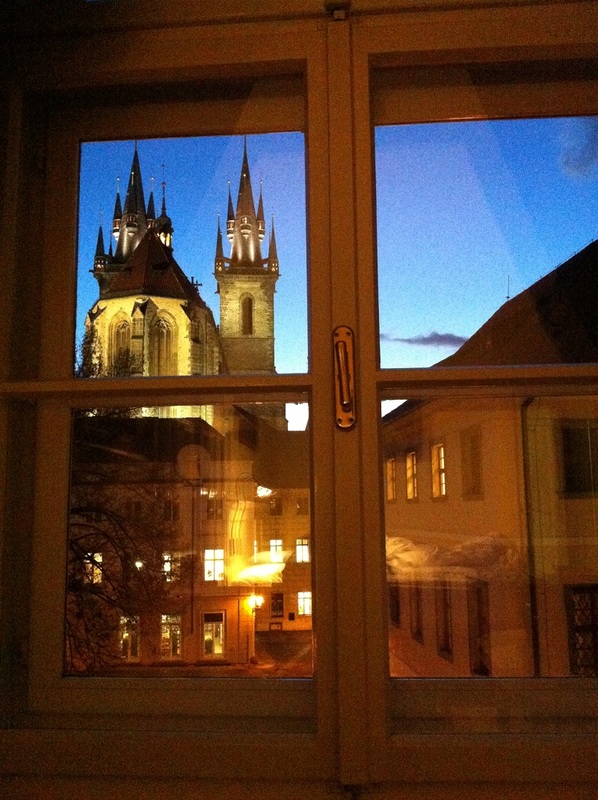 Don’t forget to walk to the New Old Town too, to see the Cathedral and the Castle. The Prague Castle is equally magnificent. 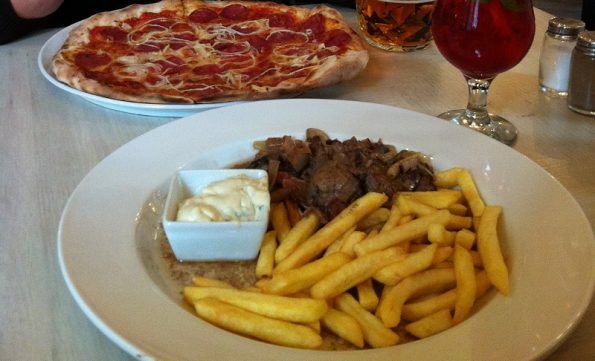 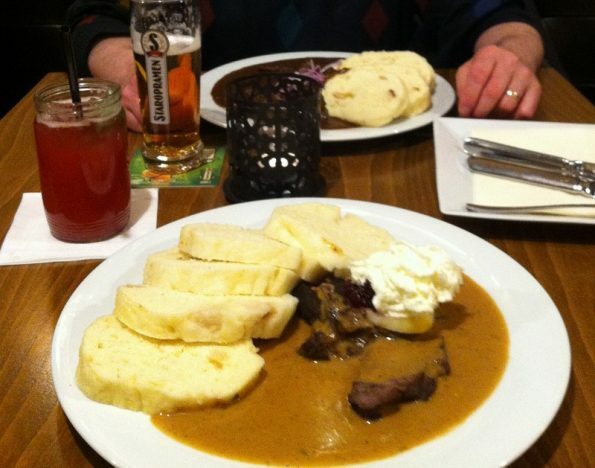 The culinary in Prague is not bad, try the famous Czech food: Goulash with dumplings. We also went to a restaurant that serves pizza and chips. 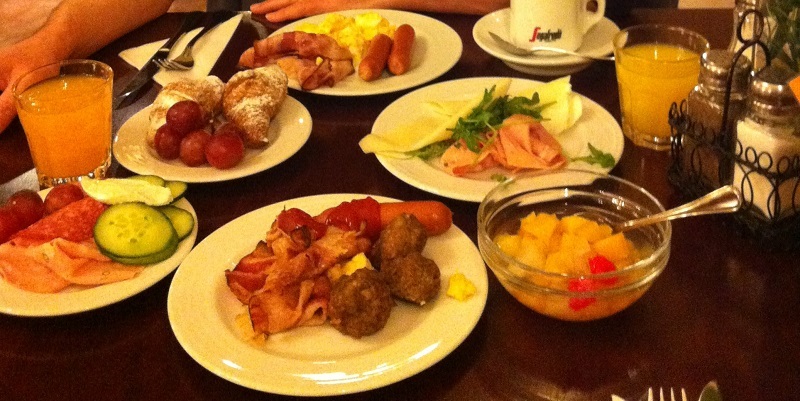 This is the breakfast from Hotel Metamorphis: fab! 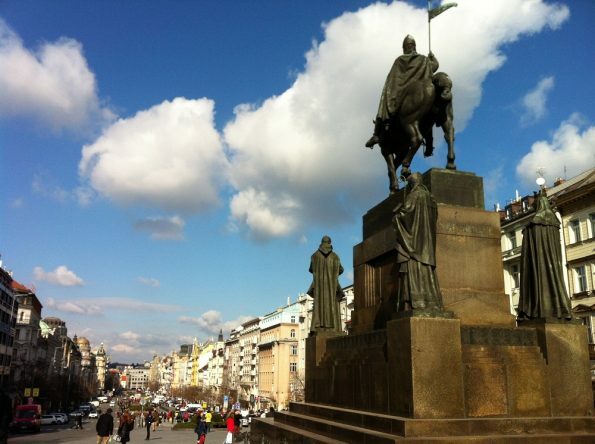 We also see St Wenceslas square with the statue of St Wenceslas – the patron Saint of Czech. 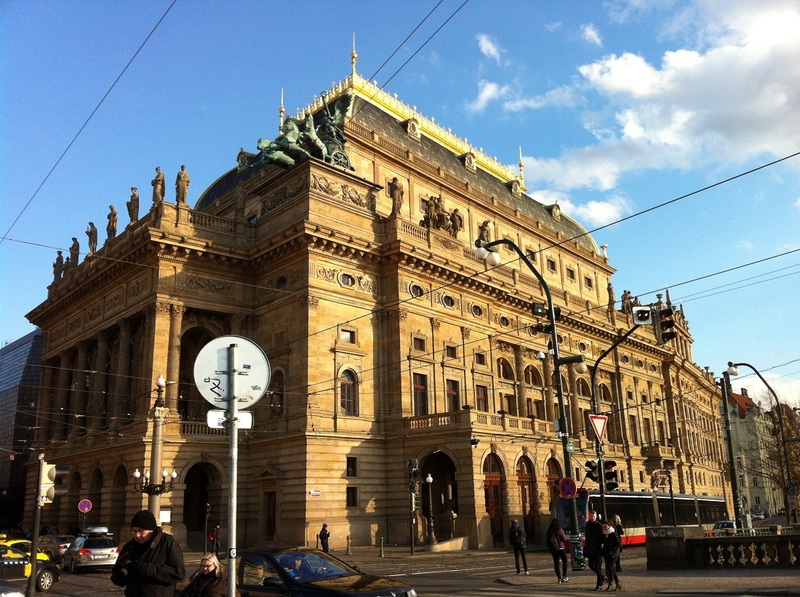 We walked and passed by a grand building of Prague National Theatre. Prague National Theatre – is the roof made from gold? Every corner of Prague is pretty, full of historic buildings. Prague in winter is indeed beautiful. 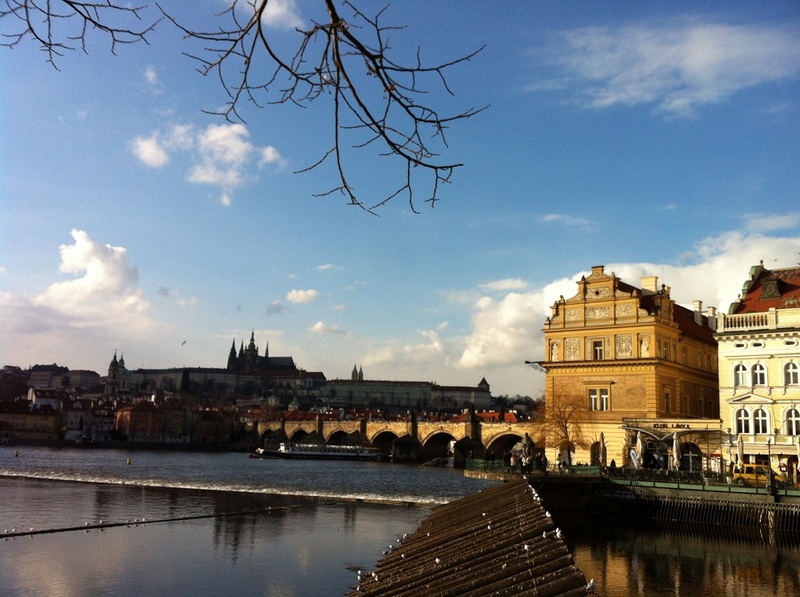 Though it is cold, the weather won’t distract you to enjoy this historic fairy tale land.